Knowing what to look for in a leaf blower can make all the difference in the world. But before getting there, it is essential to identify your necessities and double check your expectations. Leaf blowers can be used in all kinds of environments. You can clean gutters, the roof, sidewalk and even grassy surfaces, yet it depends on the blower. All in all, when not sure where to go for the right item, focus on the front runners. This is when Makita BHX2500CA Commercial Grade 4-Stroke 24.5cc Handheld Blower kicks in. With a 4 stroke motor and a 24.5cc displacement, this unit is not only efficient, but also lightweight and designed to deliver. At the same time, it is EPA Phase II CARB III compliant, so there is nothing to worry about regarding the environment. But then, its features are the elements that dictate its possibilities and uses. The leaf blower is not only powerful, but also efficient with that commercial duty engine. It does not mean that you have to use it with business purposes only. Worried that starting motors is a challenge? If you have never used such things before, it comes with mechanical automatic engine decompression, which makes the first phase a breeze. The operation is relatively quiet when compared to other products in the same segment, while the lightweight construction adds to your convenience. No one wants to feel like working out when blowing leaves. Finally, the air filter is easy to access and requires replacement on a regular basis. There is not much to complain about when it comes to the BHX2500CA model. However, you have to be careful with spills, since such motors tend to be a bit messy. Moreover, despite the commercial grade, this unit is not really designed for heavy duty operations. Its maximum speed goes up to 145MPH. It feels enough for residential uses and even for light commercial uses. But as a heavy user, chances are you will require a more powerful unit. If you run a cleaning or maintenance business, this unit may not be able to help you out too much. Be careful with the oil measuring stick because it is quite delicate. As a short final conclusion, Makita BHX2500CA Commercial Grade 4-Stroke 24.5cc Handheld Blower can certainly make the difference in the long run. It brings professional features to residential uses, yet it is just as helpful for commercial properties. It weighs less than 10 pounds, so maneuvering it should not be a problem. Obviously, using it excessively can still affect your arms in the long run. 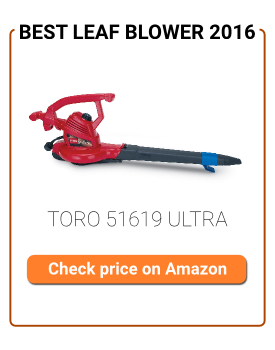 All in all, if you plan to buy a leaf blower, Makita’s unit can certainly help in the process. It is easy enough for both amateurs and experts, but it is also among the best rated units online. Of course, it may not be able to satisfy everyone out there, but doing your homework implies analyzing your necessities too. Generally speaking, the blower is likely to support you for many years if properly maintained.